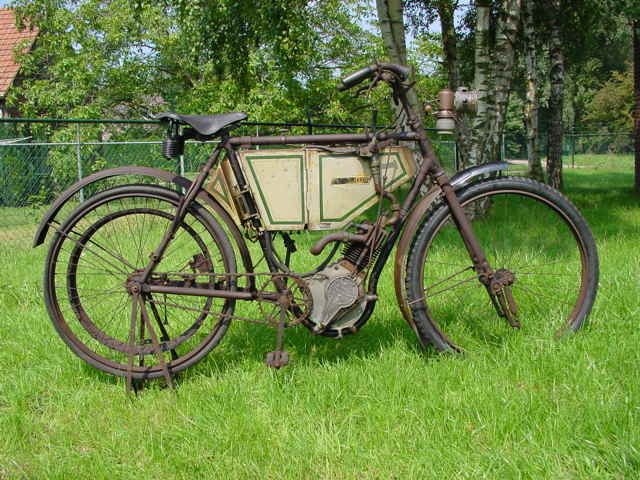 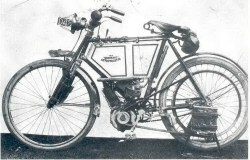 Quadrant was among the first British bicycle manufacturers to venture into motorcycle production: their first model, equipped with the then very popular Minerva clip-on engine, appeared in 1901. 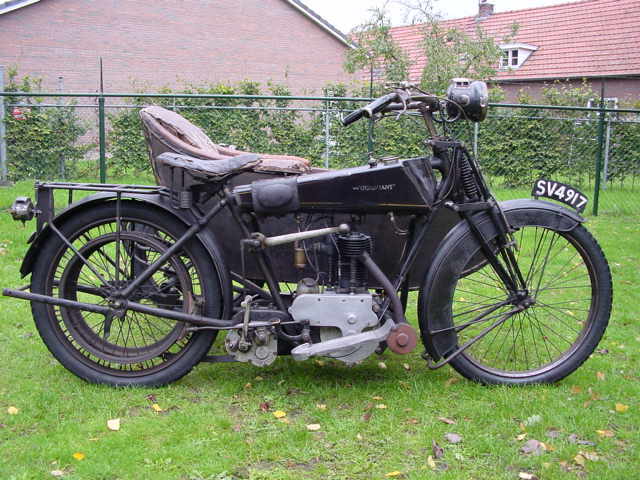 A few years later a famous long-distance rider by the name of Tom Silver was contracted by the company. 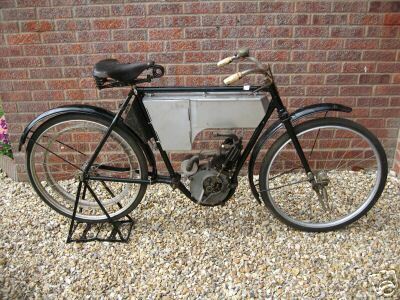 He attracted a lot of publicity in the years to come by getting excellent results in long distance events and in 1907 he became managing director of the firm. 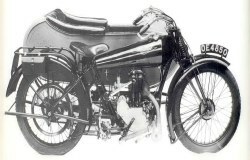 Although several types of engines were experimented with, Quadrants were best known for their big singles; in the early twenties even a 780 cc single with unit-construction gearbox was marketed. 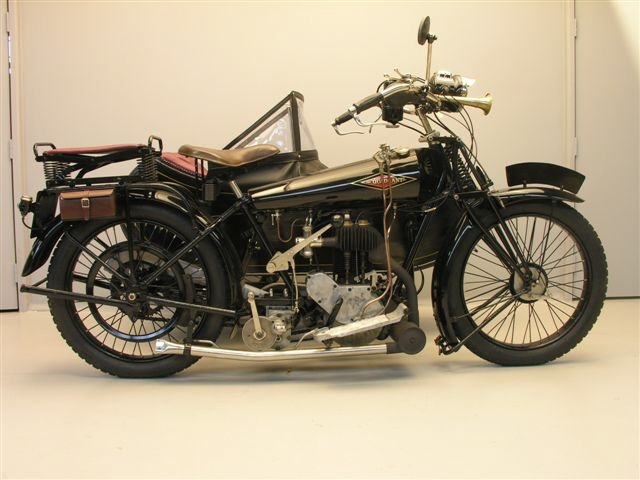 In 1924 two models were offered, a 490 cc side valve with bore and stroke of 79x100 and a hefty 624 cc side valve with bore and stroke of 85x110. 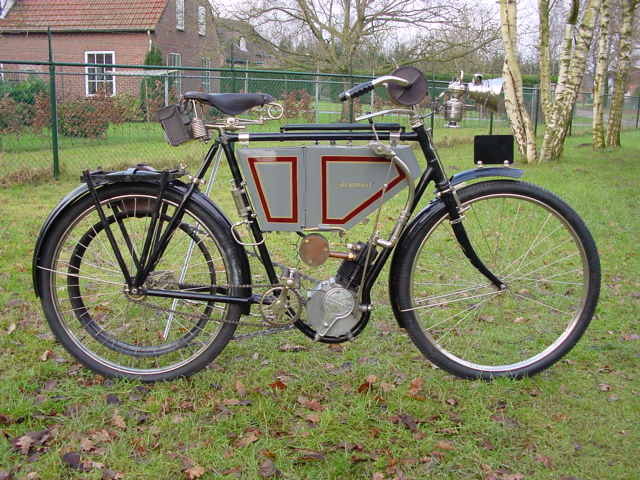 1903 Quadrant onbekend This particular example dates from 1903 and was ahead of its time because the engine was not merely clipped to a bicycleframe but the frame was purpose-built to accommodate the engine. 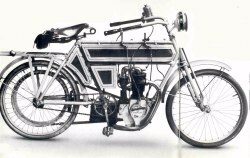 This machine has the characteristics of a real pioneer, surface carburettor, coil ignition, suction inlet valve, hand oil pump and direct drive, to name just a few.